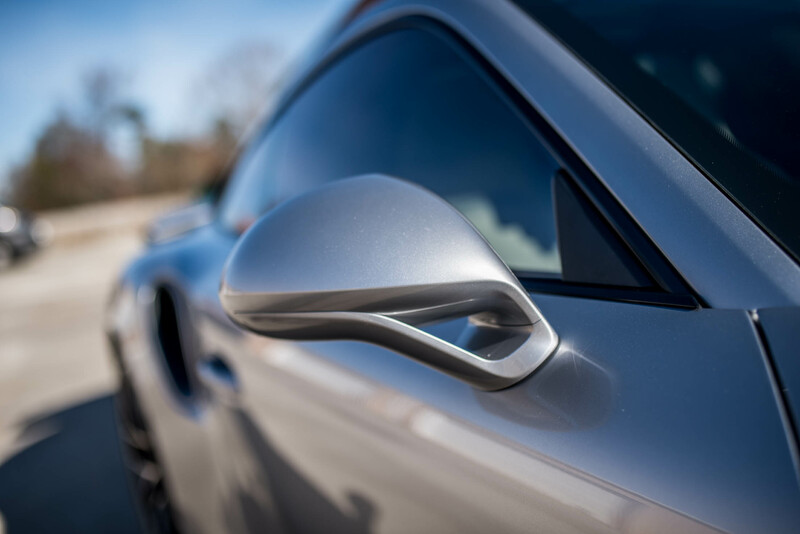 When it comes to getting fine automobiles buttoned up for a life on the public roads or the race circuit for DE’s, Detailed Designs Auto Spa has the paint protection film and window tinting solutions your car deserves. 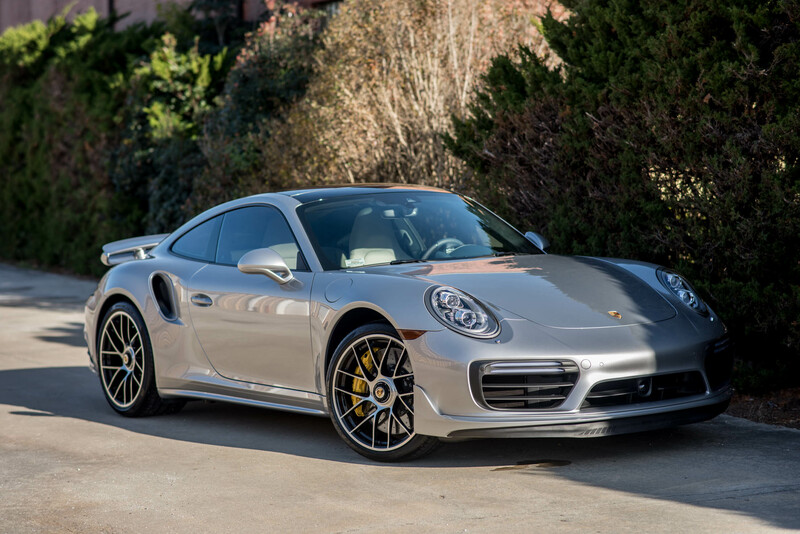 We service metro-Atlanta’s fine automobiles by providing long term protection solutions. 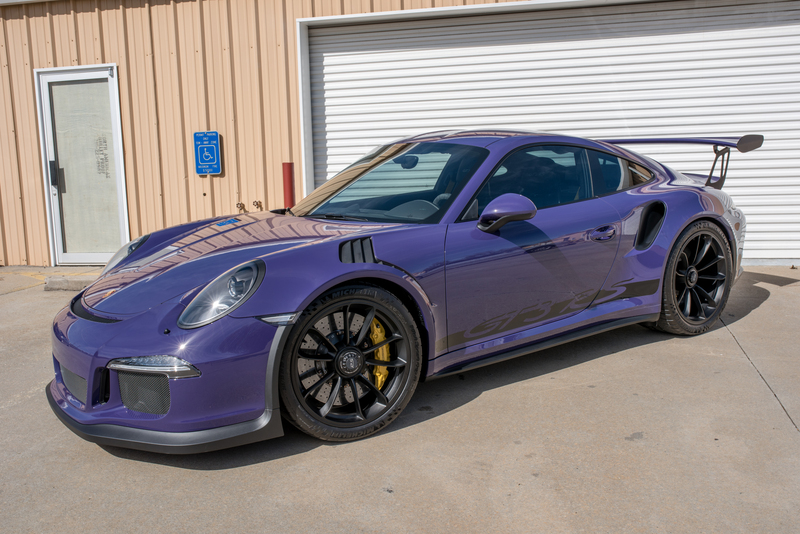 This Ultra Violet Porsche GT3RS is a new acquisition of one of our loyal clients (You may recognize his M4 GTS we performed a track package on zipping around Atlanta Motorsports Park). 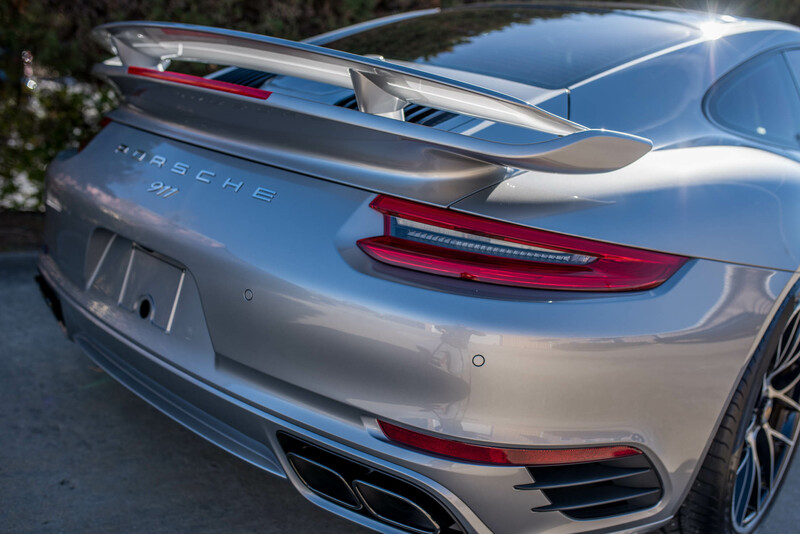 He knows that PPF is no longer an option for a modern fine automobile, it’s a necessity and so it came to us with 32 miles on the odometer. 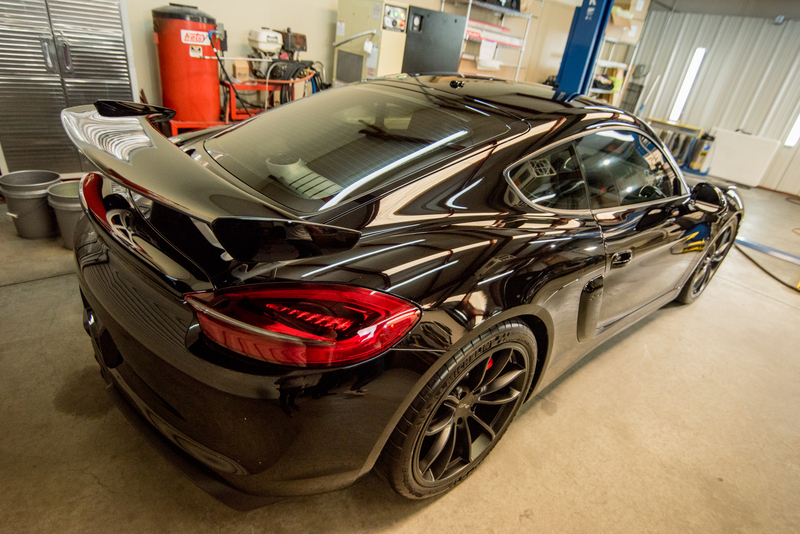 We installed our track package paint protection film coverage option and protected the interior from harmful UV radiation and heat with our 33%(metered to a legal 32% when installed) Ceraluxe ceramic window tint. Now she looks incredible with the darker glass and is protected from the harsh realities of “life on the streets” (hah!). 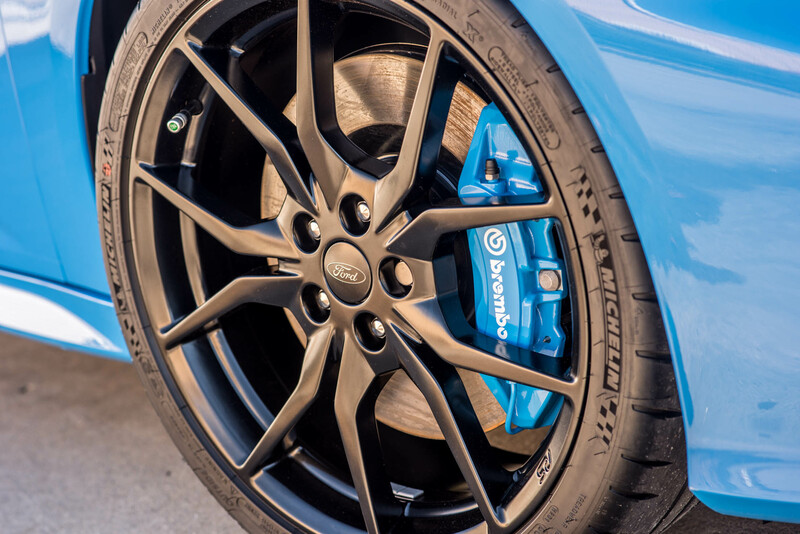 When it comes to having clean wheels on a sweet ride, everyone loves how that looks. 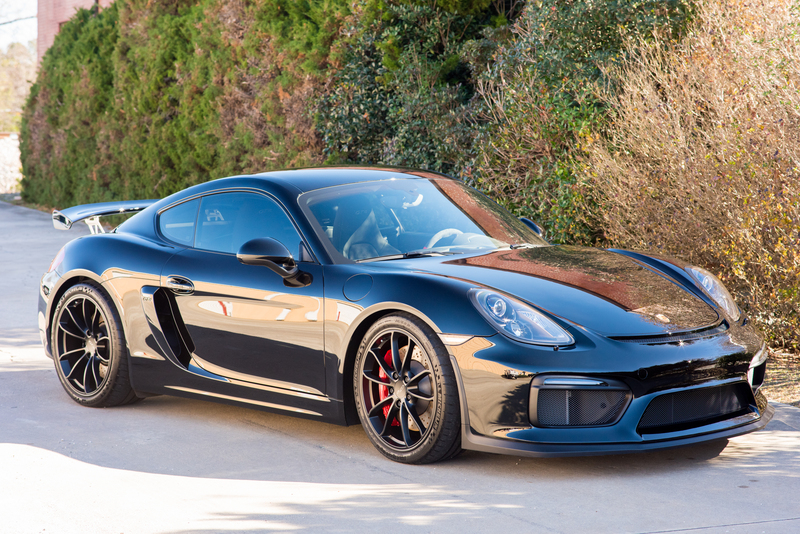 But what no one is crazy about is how difficult it can be to get wheels and calipers to that point. 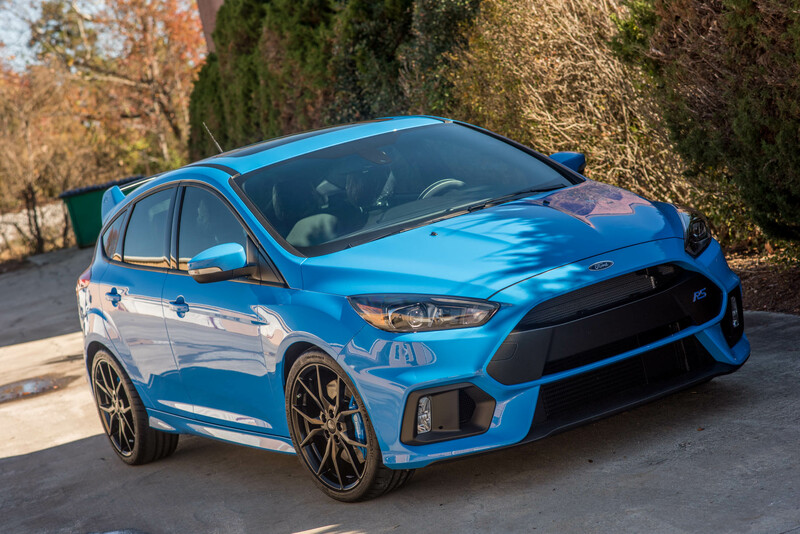 Just think about that new car feeling and seeing those well designed factory wheels looking PRIME and how they look just 6 months later! URGH! They already look beat up and as if they were 5 years old! 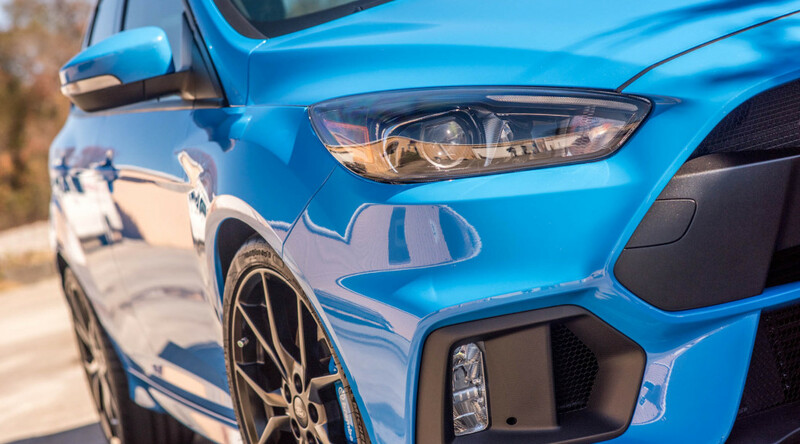 This begs the question: How can you make wheels easier to clean and stay looking better for longer? 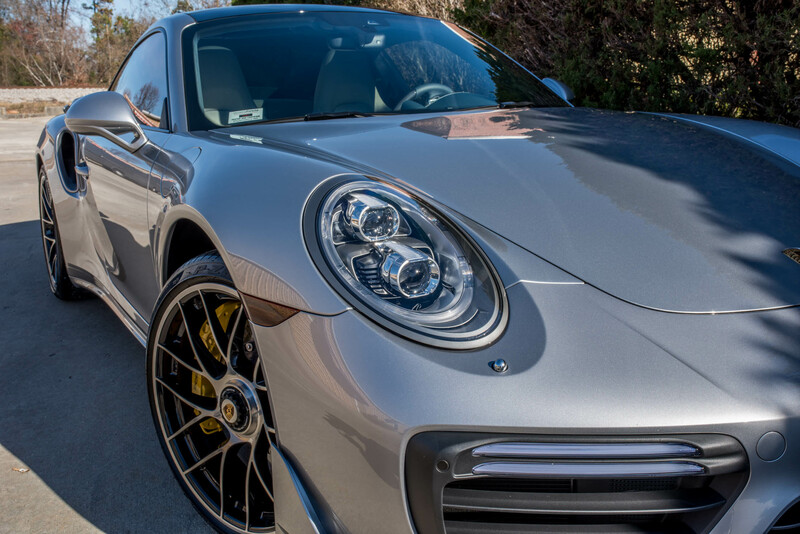 With these 3 tips I will show you how investing in purchasing the proper tools, being regular and taking advantage of the newest wheel coating technology will keep your wheels looking incredible for years to come while being substantially easier to clean. 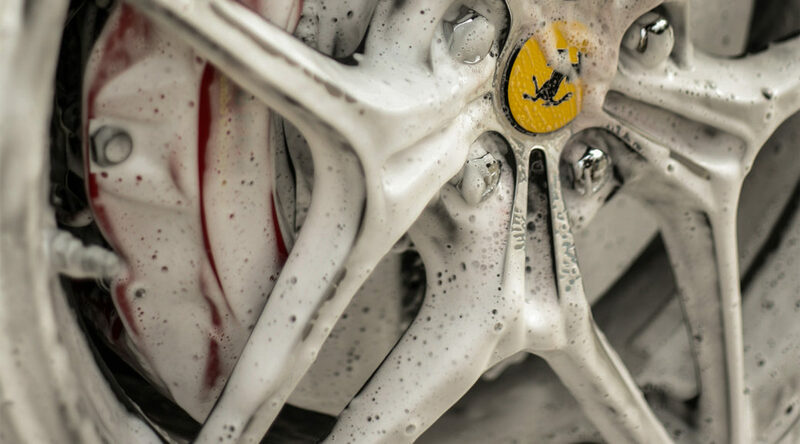 For many, they are stuck using wheel cleaning tools that are decades old. Maybe they are using the old trusty wooden handled stiff bristle brush with the metal tip? -Throw it away! It’s CERTAIN to cause damage with that metal tip and overly stiff bristles!! 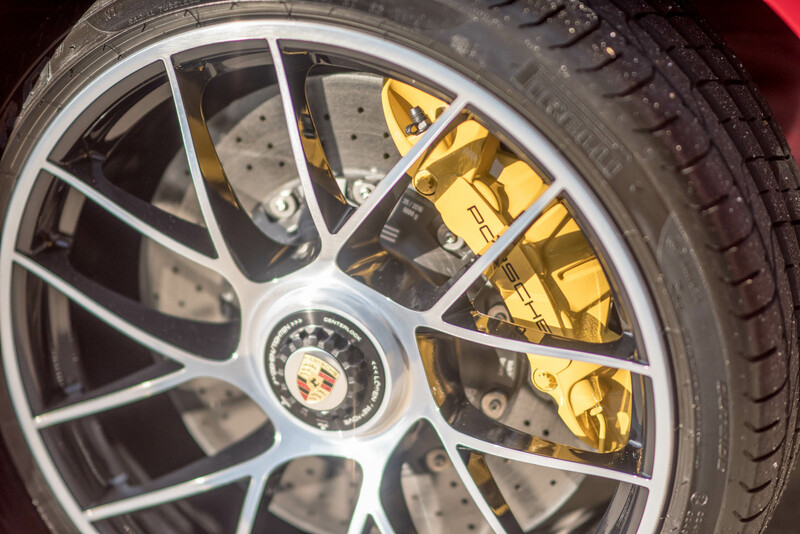 The latest wheel cleaning tools have protective rubber tips, a non-marring plastic or rubber construction, soft bristles and an incredible reach for getting to those lug recesses, in between the spokes, the wheel barrels and the calipers. 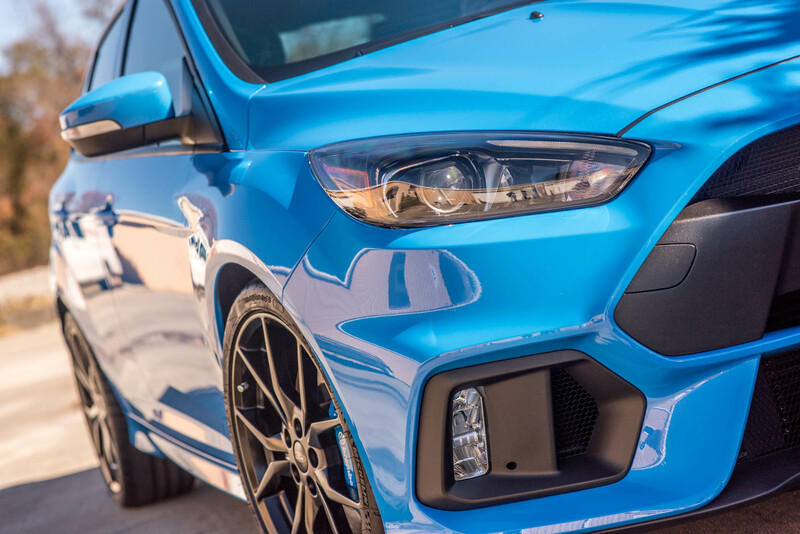 These newer wheel cleaning tools allow for safely cleaning even the most difficult areas without too much of a strain on your body or giving you bloody knuckles. No hidden tricks here! 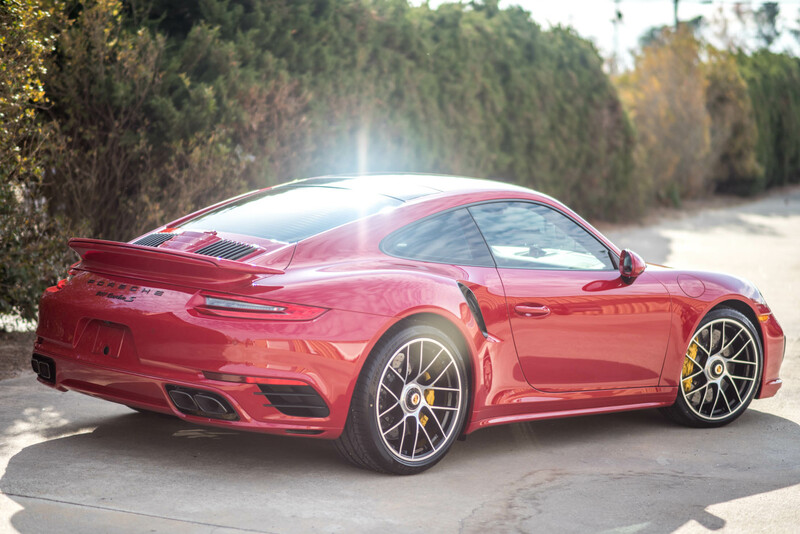 There is no substitute for regular maintenance for wheels, or really, any part of your car for that matter! 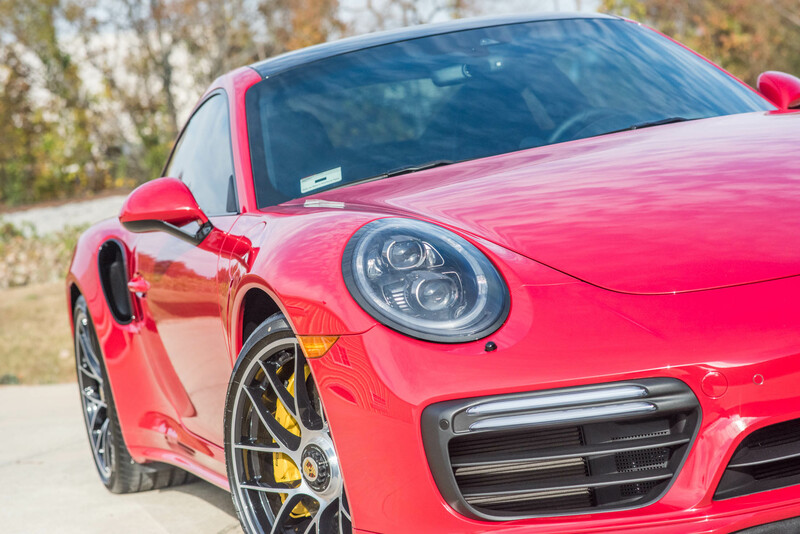 The longer heavy dirt, brake dust and grime sits on your wheels, the more difficult they will be to clean. 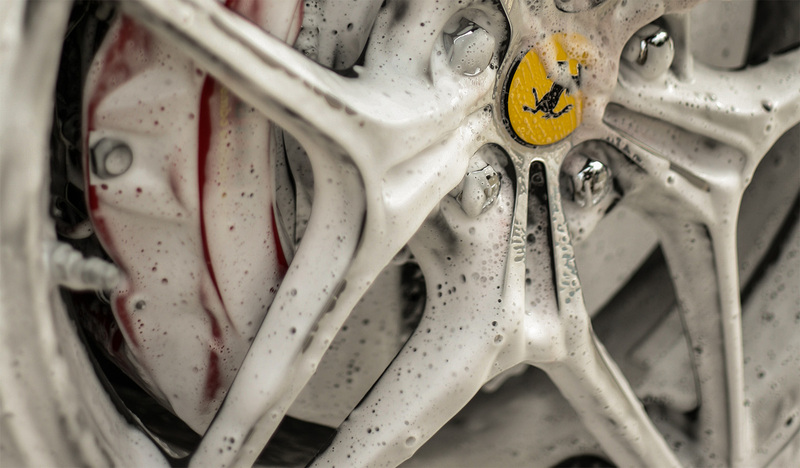 Regular cleaning means when you do clean the wheels, they are not as stubborn. 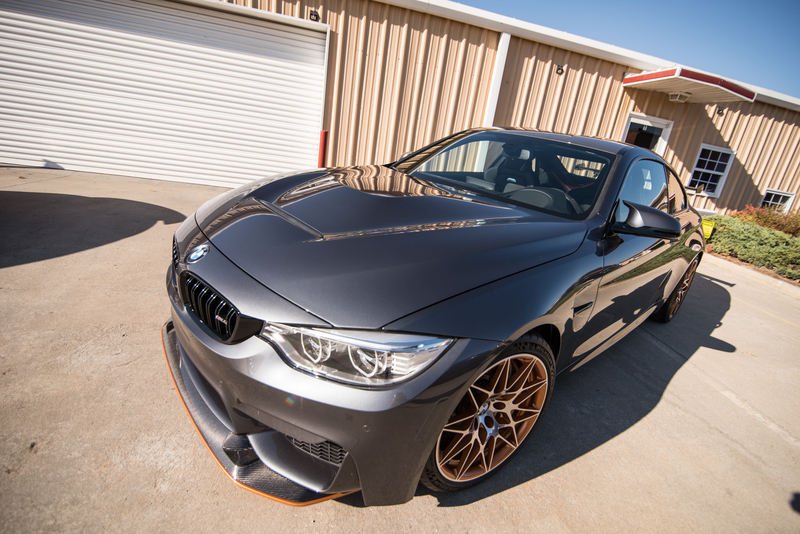 The best protection possible for your wheels comes by having Modesta BC-06 installed to the surfaces. 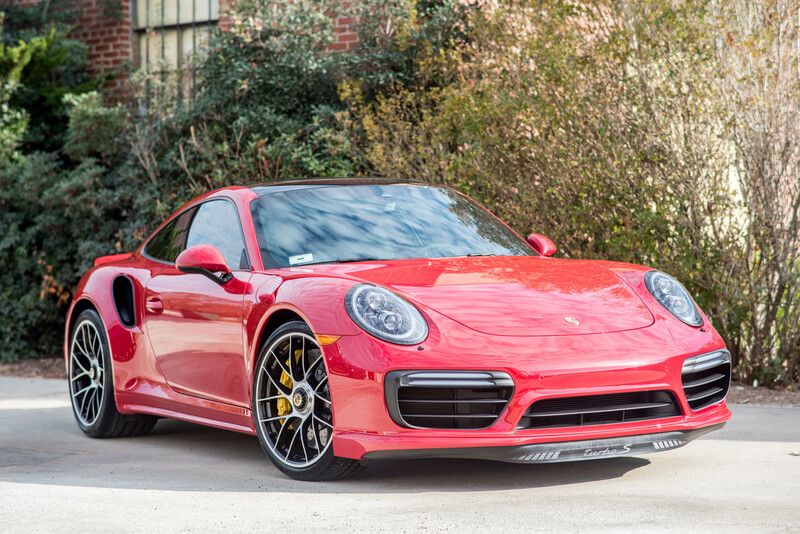 Wheels and caliper coated with Modesta BC-06 have a protective pure silica glass membrane that is heat resistant to 2,372 degrees Fahrenheit. 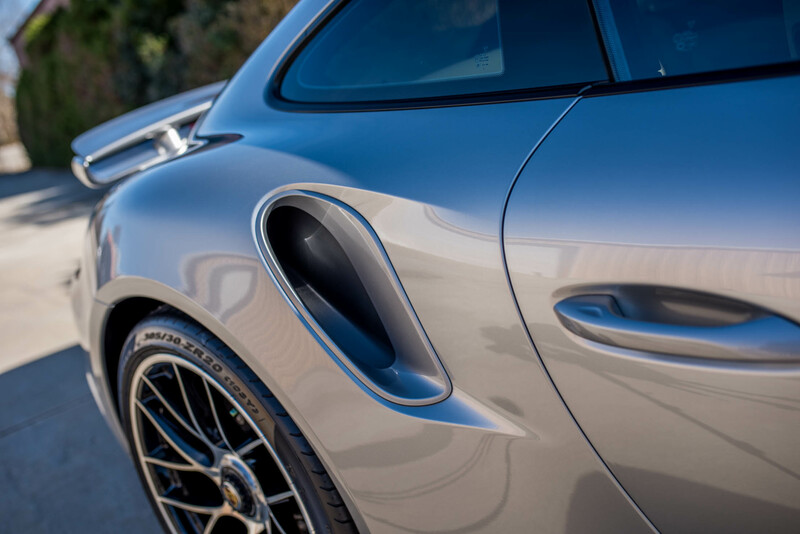 Your wheels, when coated with Modesta BC-06 will reject superheated brake dust from etching the surface of the wheels and protect from them pitting. 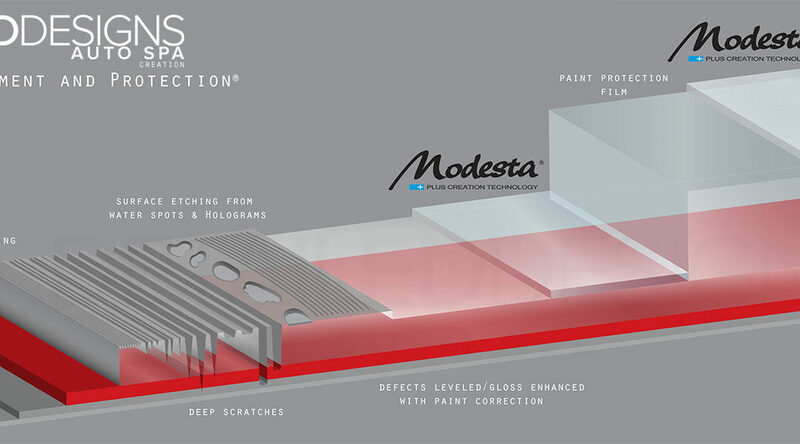 Because Modesta BC-06 offers chemical resistance and creates a durable membrane, the wheels will reject surface contaminates which gives you an easier to clean surface. 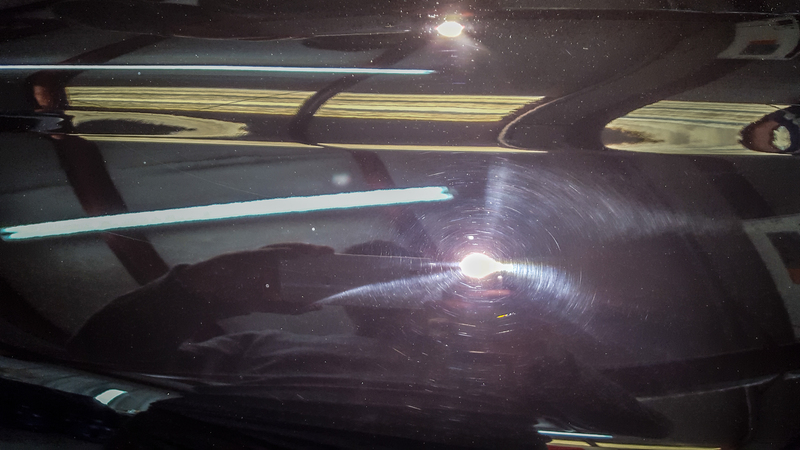 When coupled with proper cleaning, wheels coated with Modesta BC-06 will remain looking like new and be a breeze to keep clean for many years to come. 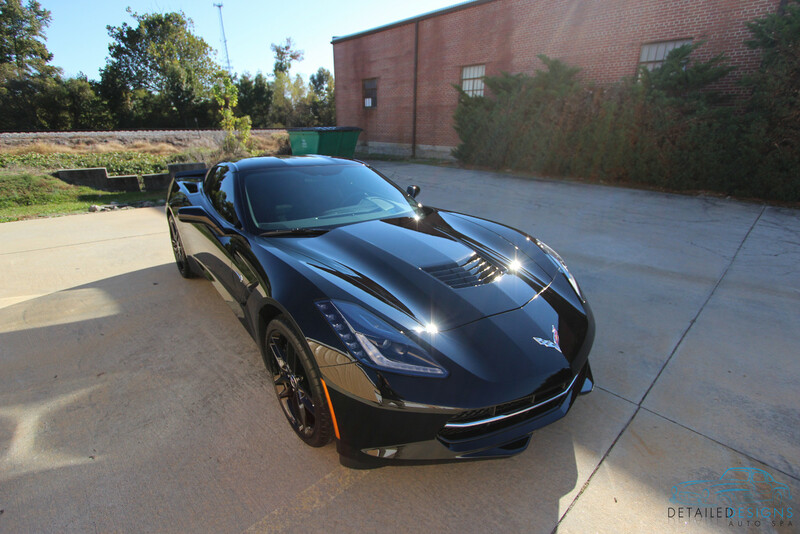 Detailed Designs Auto Spa is Atlanta’s source for Modesta coating systems. 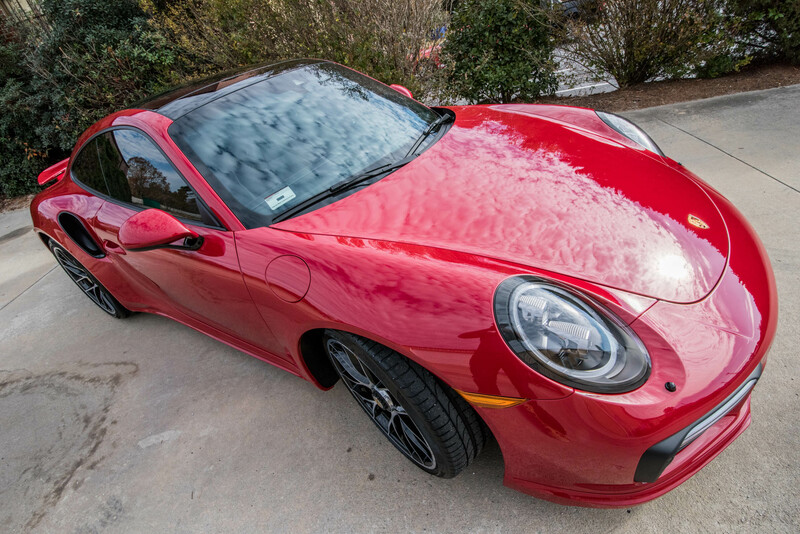 Detailed Designs Auto Spa’s wheel-off detail and Modesta coating service for wheels and calipers is the protection Atlanta’s fine automobiles deserve. 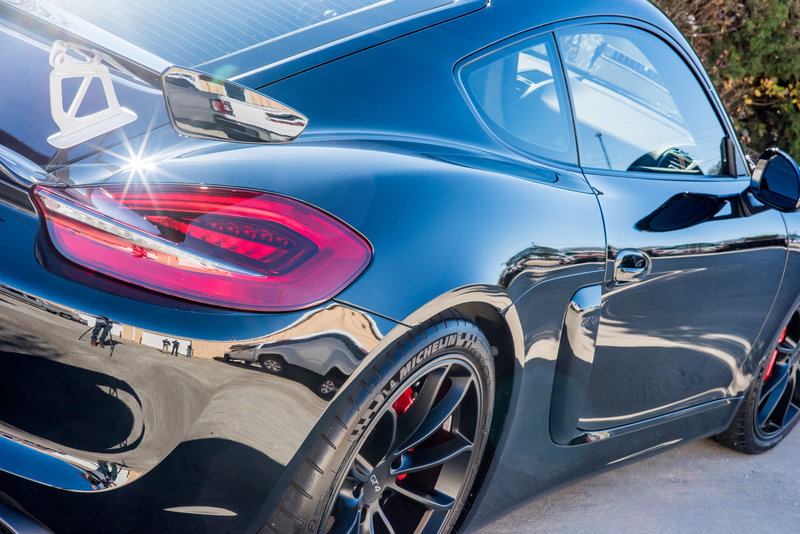 To learn more about Detailed Designs Auto Spa’s wheel-off detail and coating service, CLICK HERE. 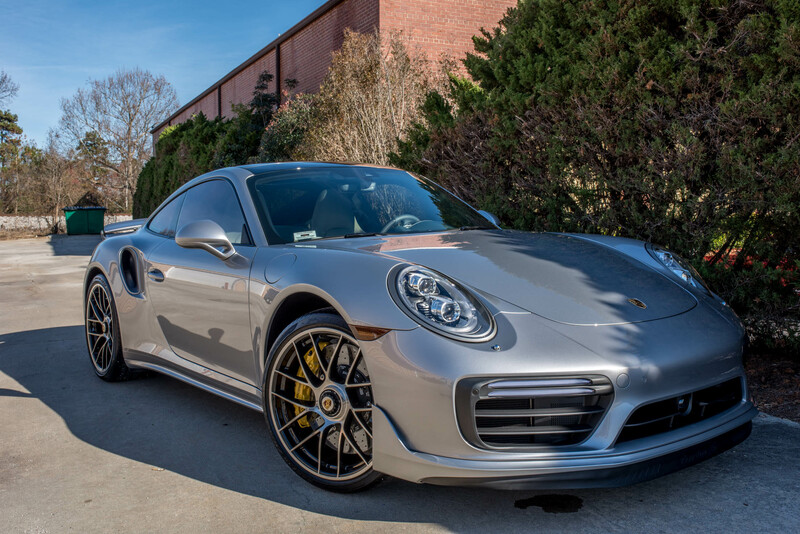 For owners not located near metro-Atlanta that are looking for a Modesta wheel or paint coating application, view Modesta’s authorized installer locator map, HERE. 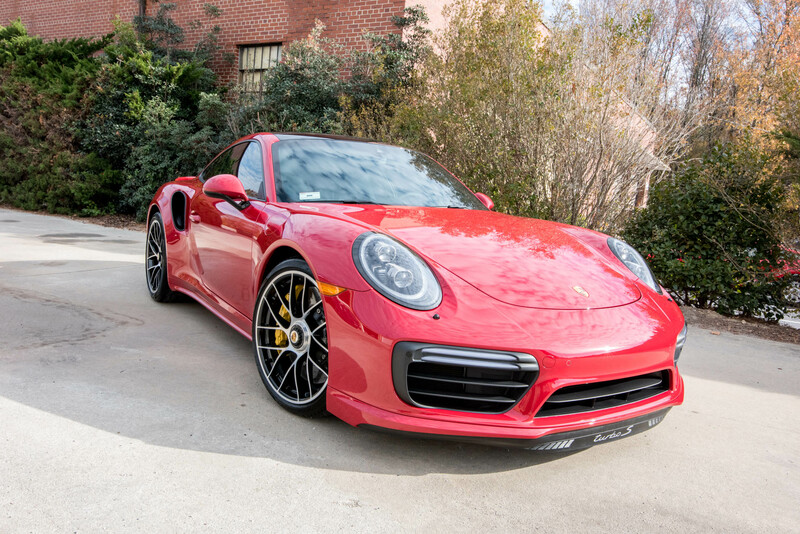 With the right tools, regular maintenance and Modesta applied to your wheels you can finally have those wheels that stay looking like new while being easy to keep clean! 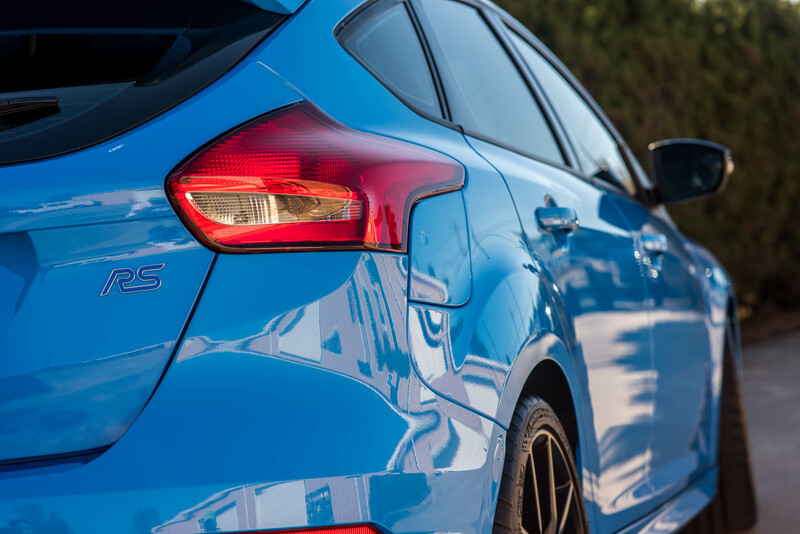 Make sure to check in regularly for more protection and maintenance tips for your fine automobile! Conyers, GA., is a quaint little town of only about 15,000 people. It’s an unassuming Atlanta suburb that features a slower pace of life, wooded spaces and a lot of diesel trucks. 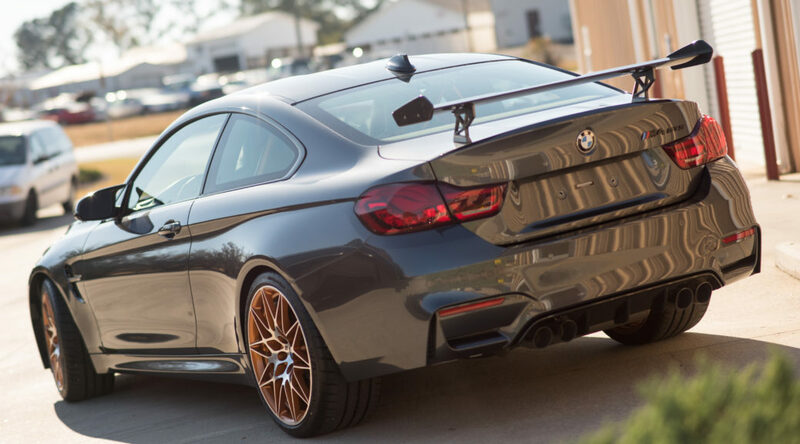 But in this small rural town resides a boutique car care company with an international rapport that is making an impact on their industry. What company are we talking about? 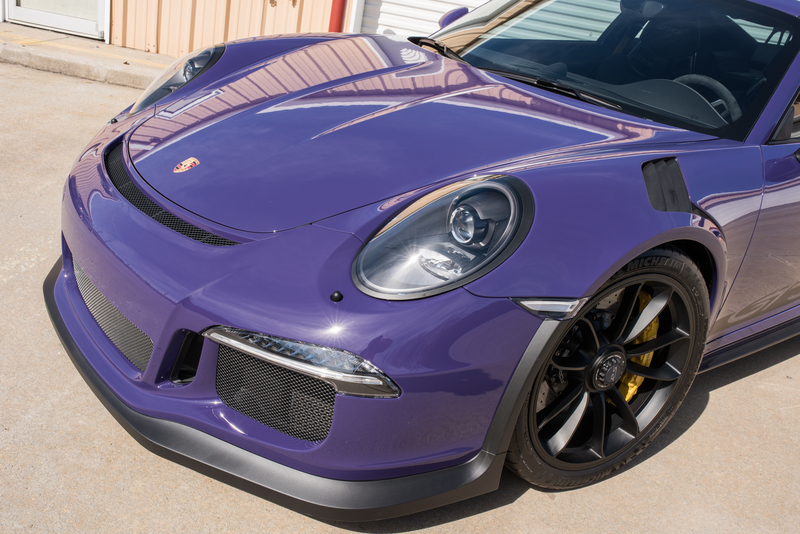 Detailed Designs Auto Spa! 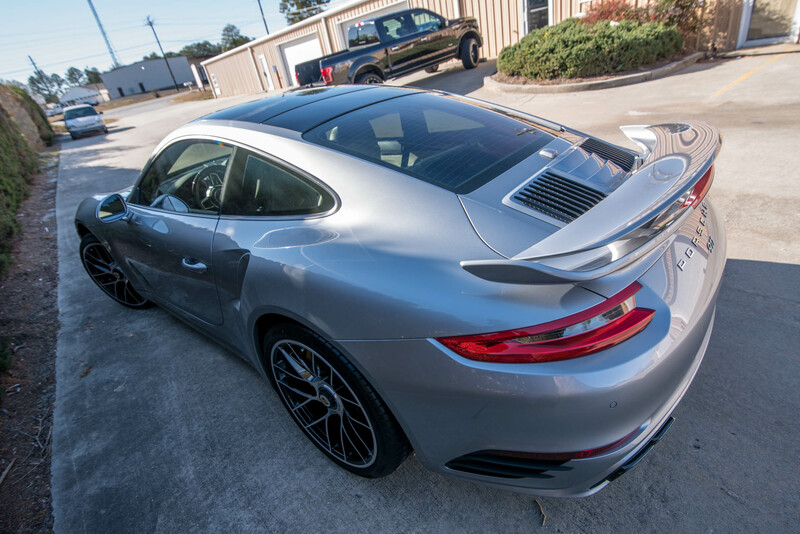 Detailed Designs Auto Spa is a boutique car care and protection company that has been in business since 2007 and in Conyers, GA. since 2013. 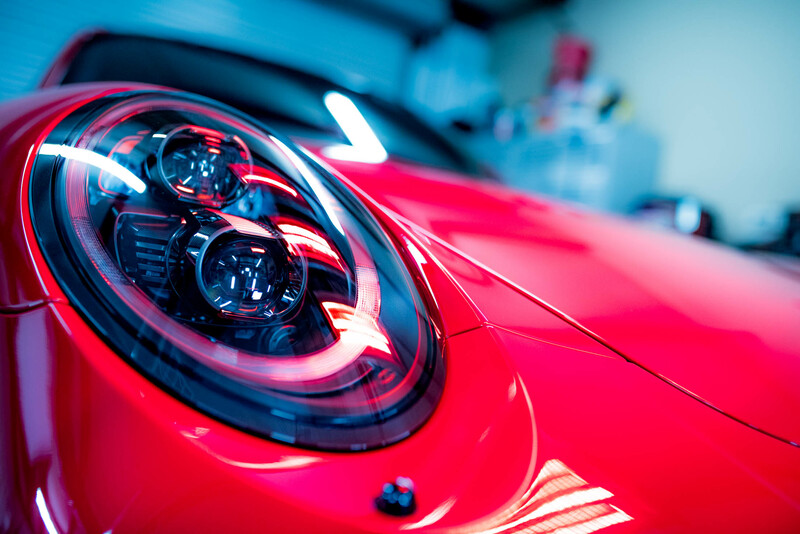 They offer world class clear bra installation (also called Paint Protection Film Installation), Modesta paint coating systems, paint correction and fine automobile detailing services. 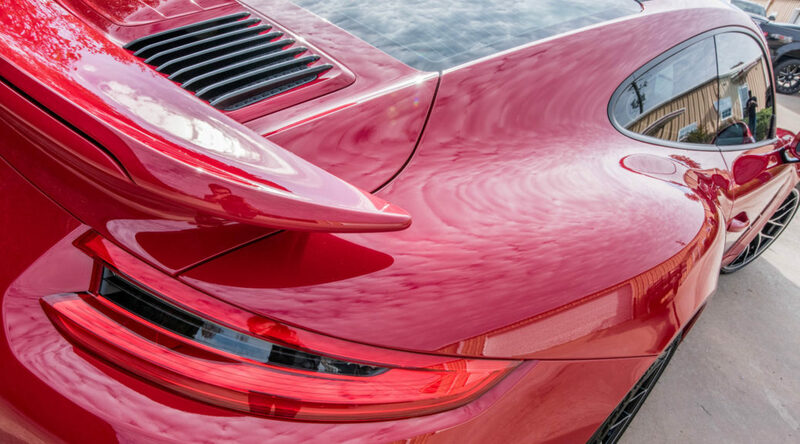 If you have a new car and wish to put an end to rock chips, pitting and scratches, give Detailed Designs Auto Spa in Conyers, GA. a call. 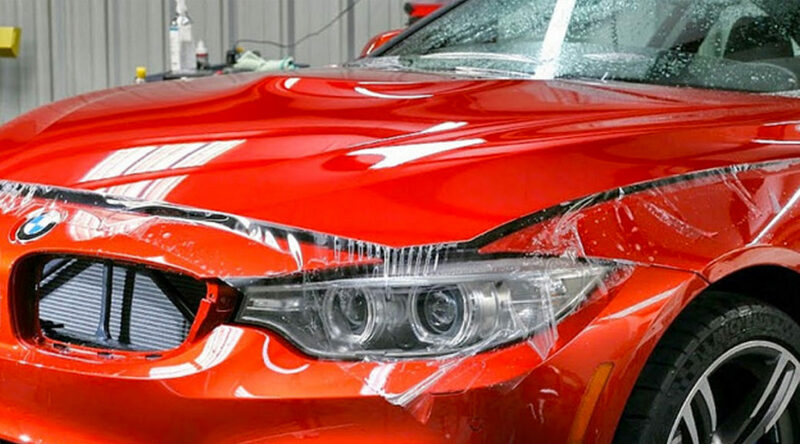 After experiencing your consultation with our industry experts, you will know why they draw clients from all over the southeast for their clear bra installations, Modesta paint coatings, paint correction and car detailing services. 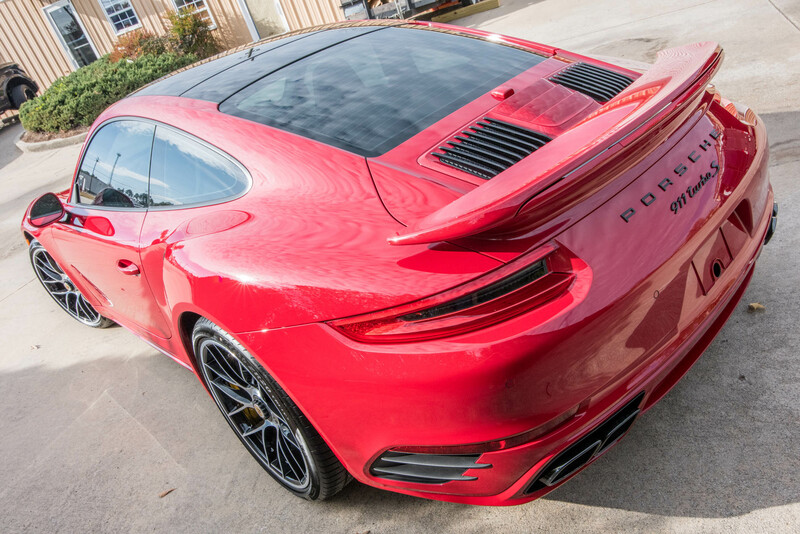 They pride ourselves in every step of every process and it shows in the fit and finish. DDAS offers Clear Guard Nano clear bra, Suntek clear bra, Xpel clear bra, Premium Shield clear bra, 3m clear bra as well as other lesser known films. 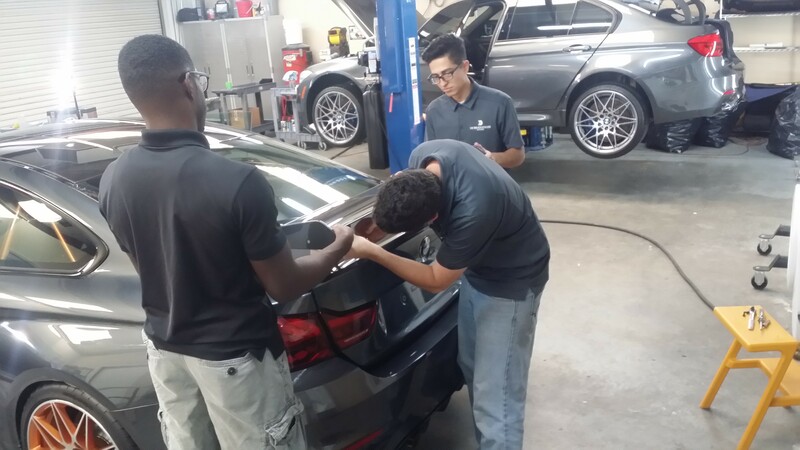 At the end of the day though, it is the hands working on your car and the company standing behind the work that will dictate how satisfied you are with your clear bra installation. 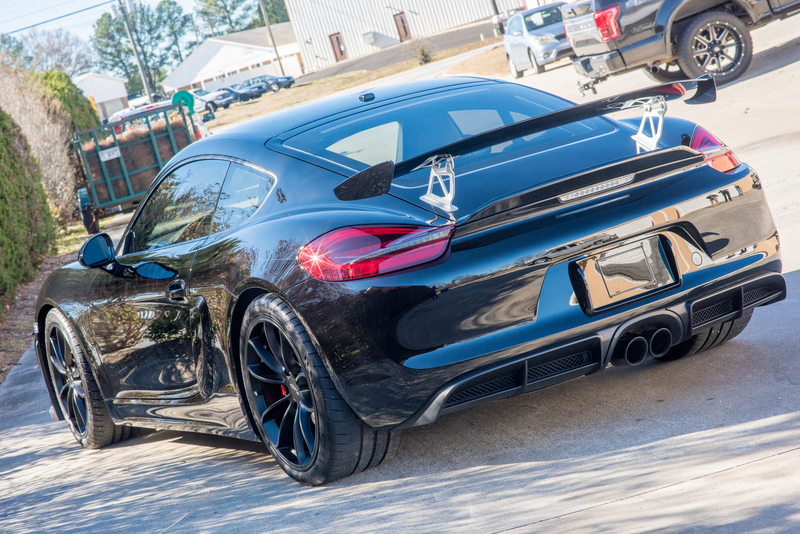 All of Detailed Designs Auto Spa’s staff are Conyers and Covington locals. 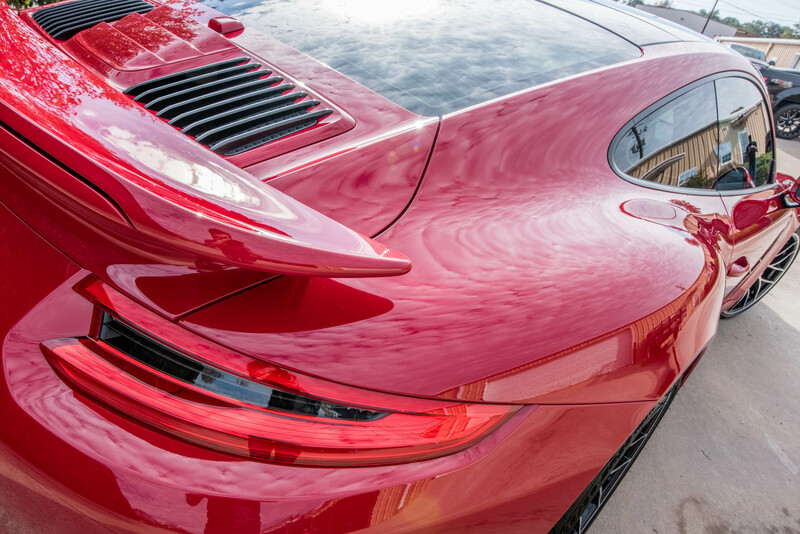 Detailed Designs Auto Spa is locally licensed, insured and certified. 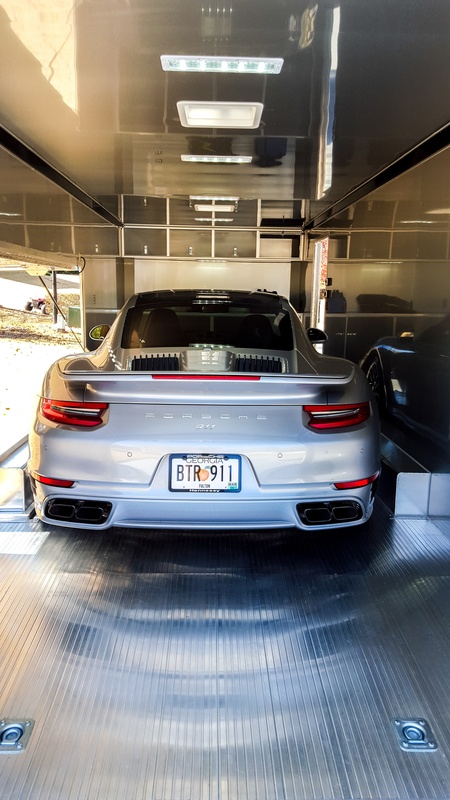 They’ve have traveled North America to become certified in the services offered and continually train year to year to ensure they offer the absolute best of the best. 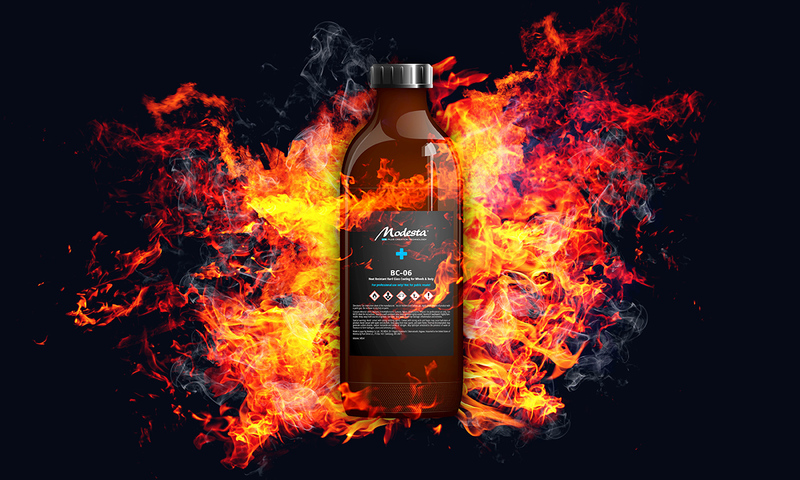 One search for us online and you will see that they have an international reputation for incredible quality and one of the most amazing experiences a client can receive. 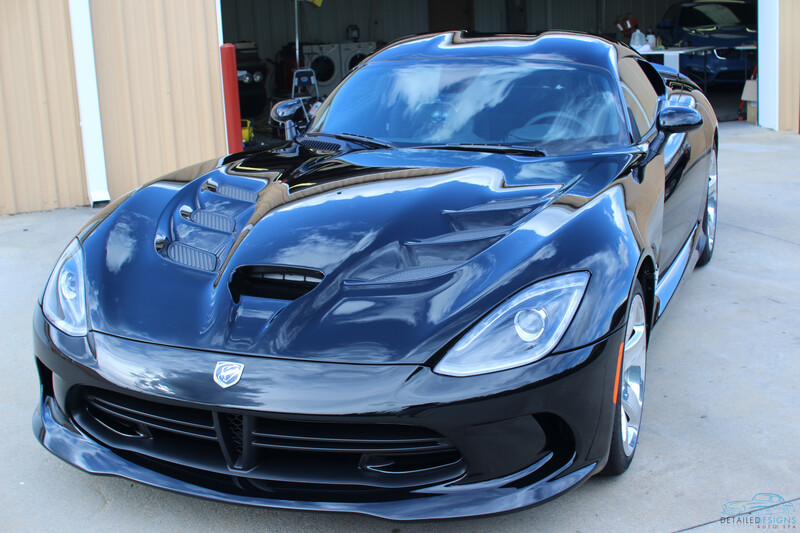 Detailed Designs Auto Spa is located at 2161 Old Covington Hwy SW, STE. B Conyers, GA. 30012. 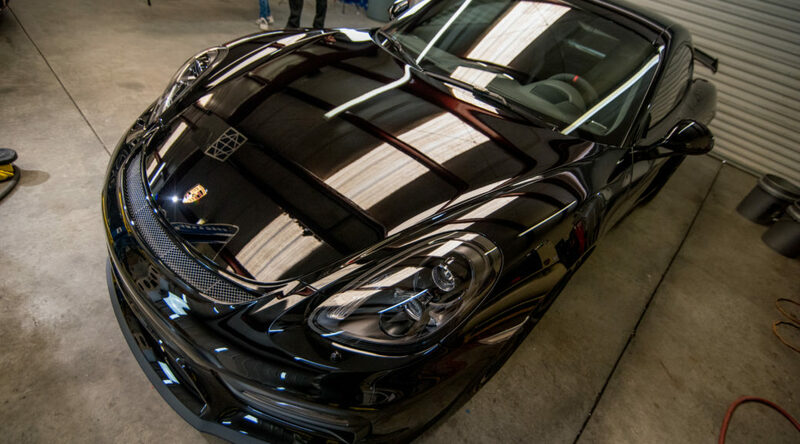 Detailed Designs Auto Spa is **by appointment only**. 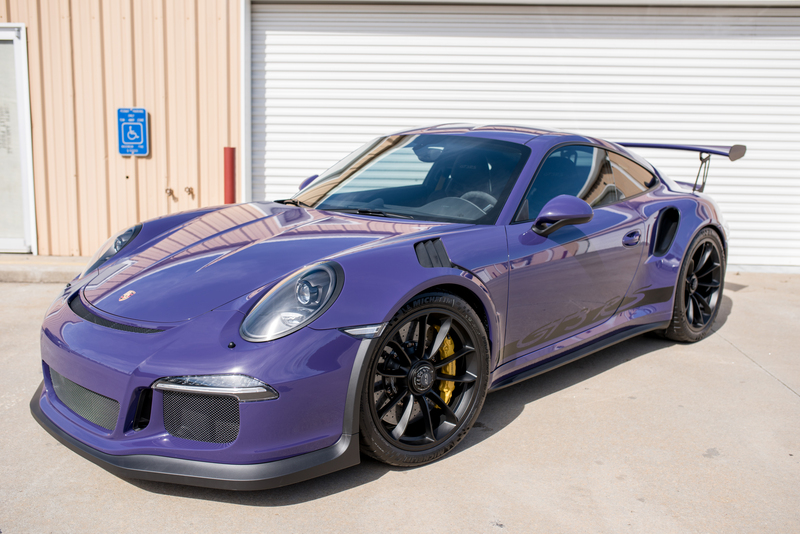 I am happy to share the latest project to leave my shop, Detailed Designs Auto Spa. 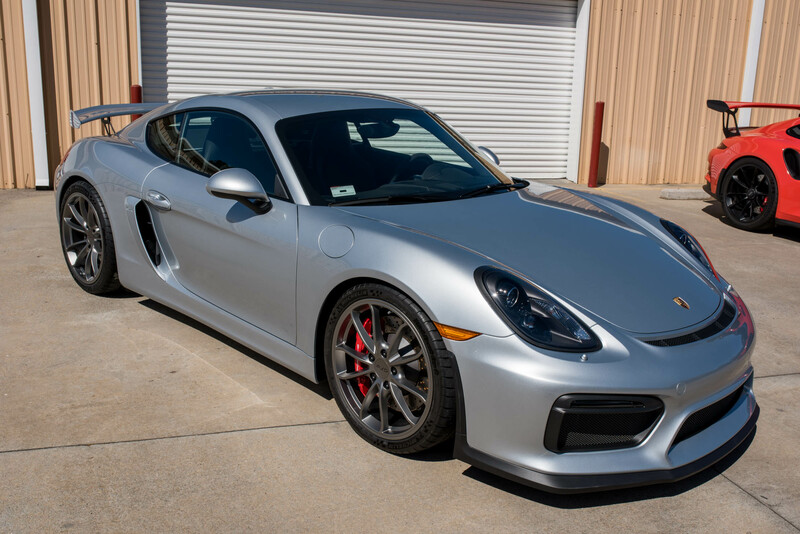 A Porsche GT4 that we picked up from Alabama which the owner needed swirl marks addressed, paint protection film and a Modesta paint coating on the body and wheels. 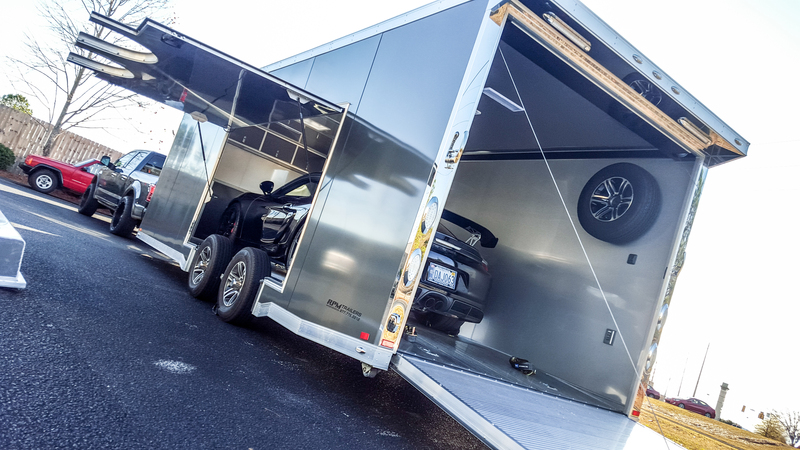 After transporting the GT4 from his own mechanic shop in Alabama in our enclosed car hauler, we got started on the work and this is how she came out. 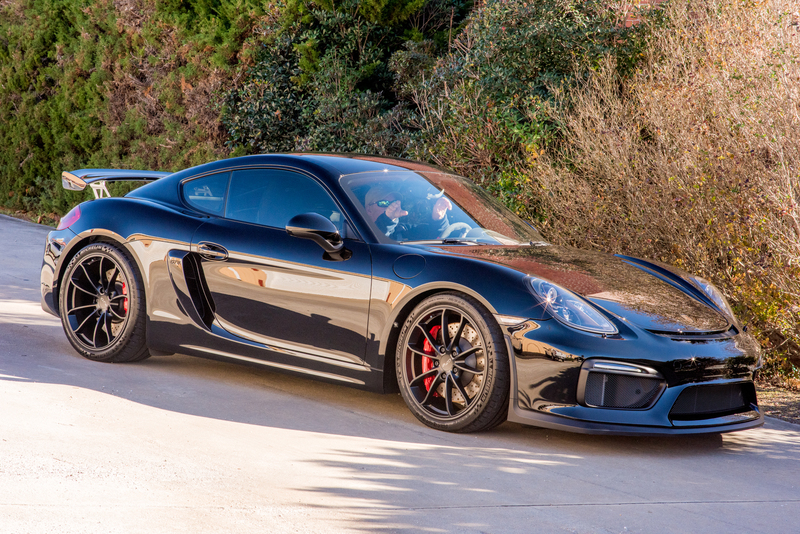 Fueling up early in the morning to head out of state to pick up the Porsche GT4. 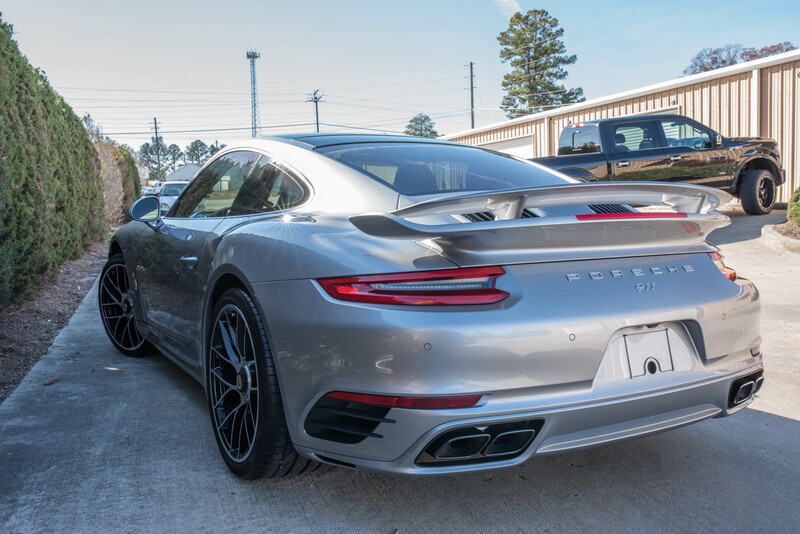 The Porsche GT4 loaded up and ready to head back home to Conyers, GA.
After performing a thorough wash and decontamination to strip existing fillers off the Porsche’s paint we saw this. 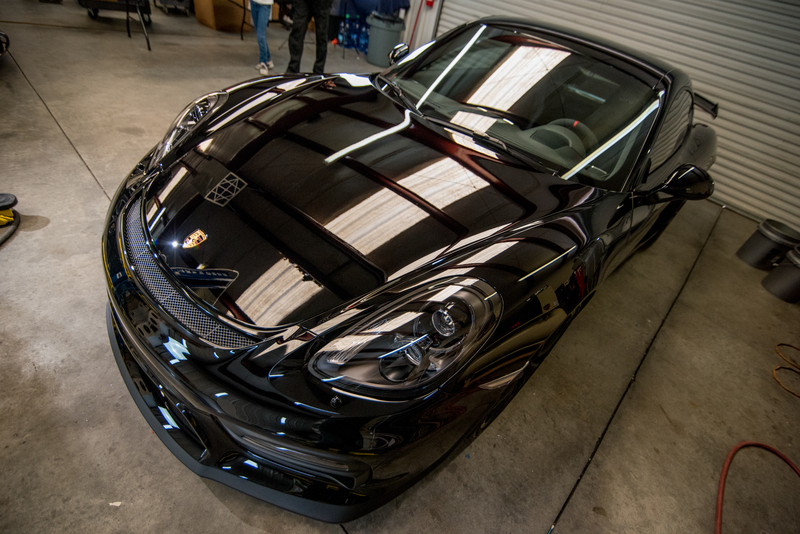 The end result was paint that looked perfect, was completely wrapped with clear bra, film/paint coated with Modesta BC-04 and the wheels and calipers detailed/coated with Modesta BC-06 and then layered with Modesta BC-08 for insane luster and eased maintenance needs. 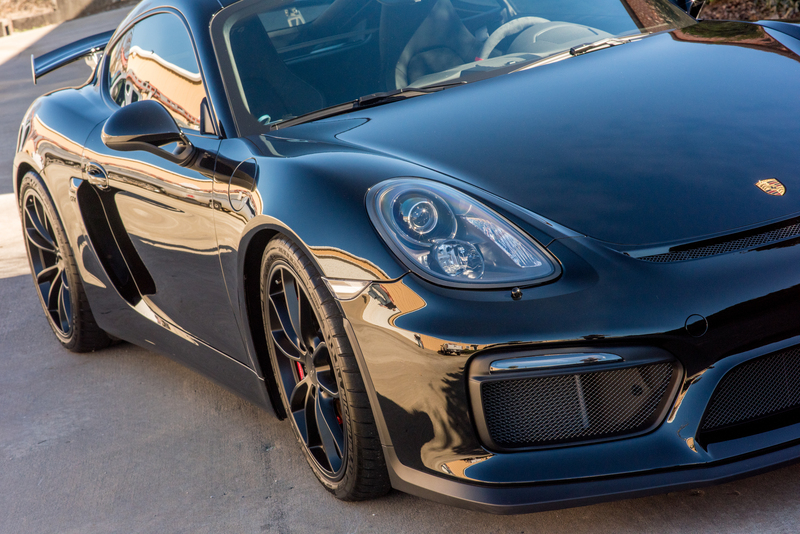 With this perfect combo, the Porsche GT4 had insane gloss and reflections while being protected and easy to clean. We think it came out “pretty alright”. 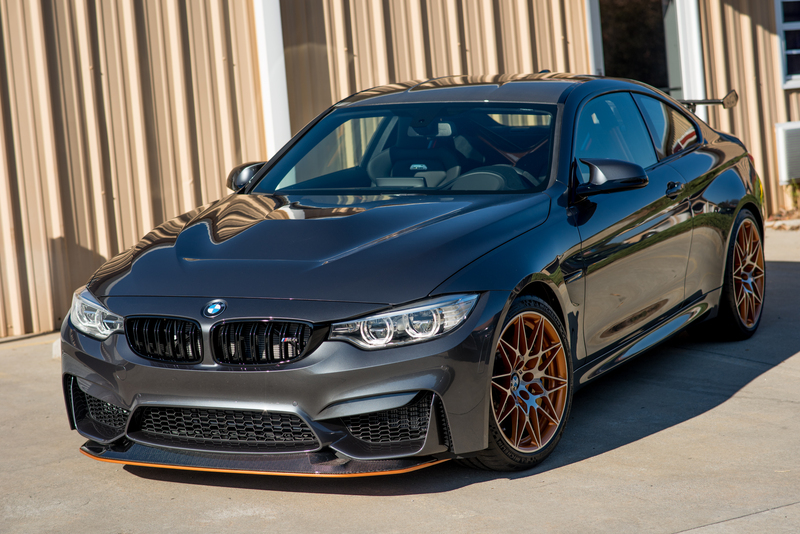 When world famous Instagram account owner, Carnucopia, gave us a call a few months ago to learn about how to protect a new BMW M4 GTS that he was taking delivery of, we were pleased to educate him on the different forms of protection. In the end, he decided that nothing less than a full body clear bra wrap would do for his baby. 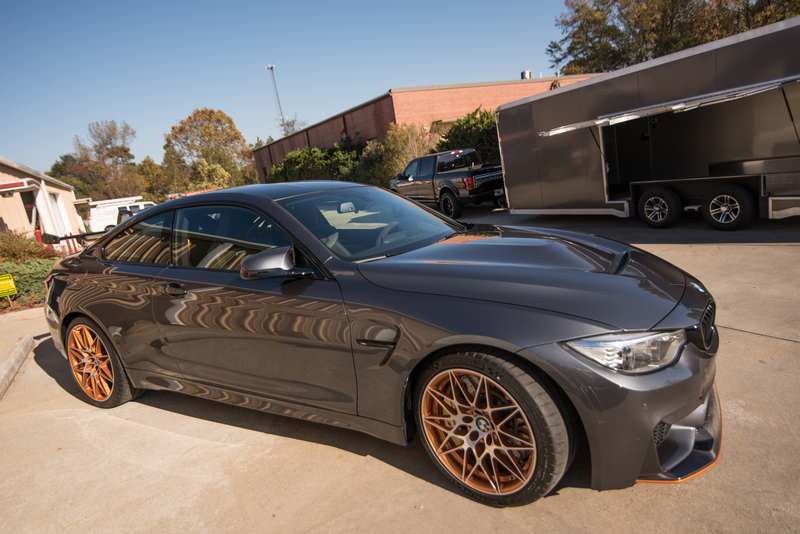 Once the M4 GTS had a scheduled delivery date we set a convenient time for us to travel to his house in Charlotte, NC. 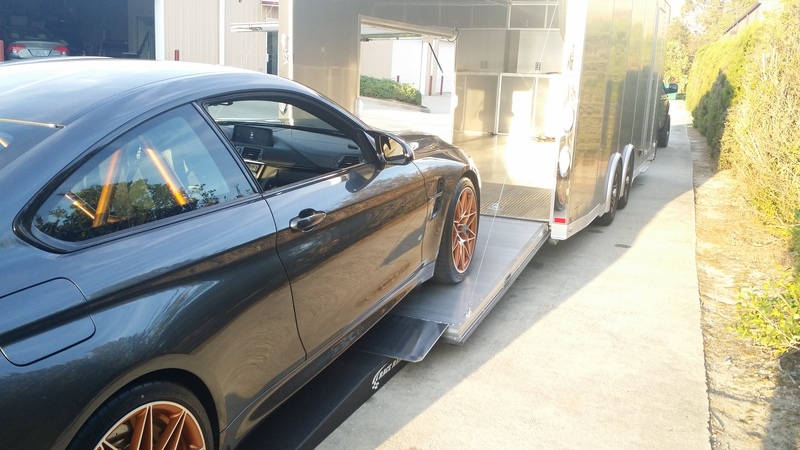 to transport his M4 GTS back to our shop on the outskirts of Atlanta to perform our full body clear bra wrap. 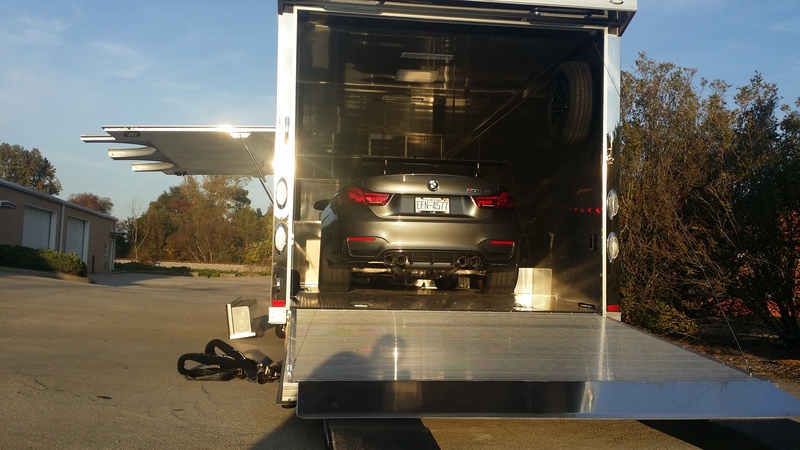 Part of the process involved removal of door handles, emblems, rear wing, front fender vents, front grills(kidneys as bimmer owner’s refer to them), all bumper tow hook covers, roof rails and then also properly washing, decontaminating and then performing a single stage polish as prep. 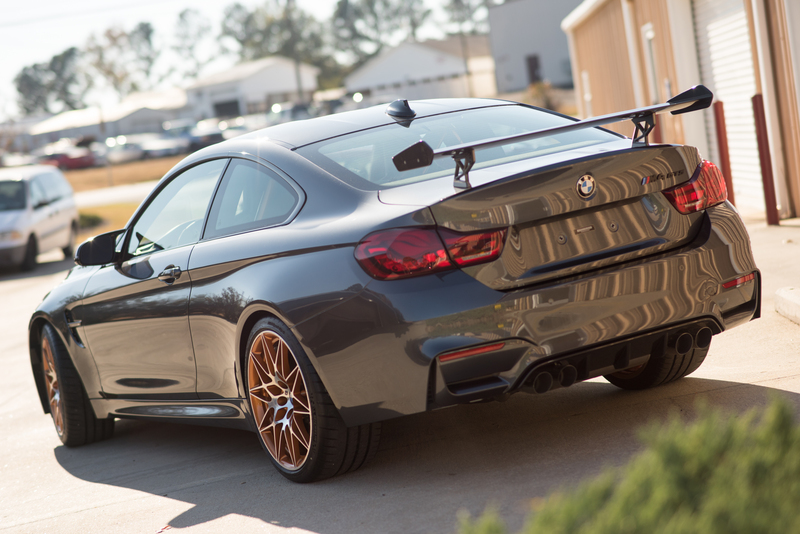 The end result was a full body clear bra wrap that left Carnucopia with a peace of mind to be able to enjoy his rare BMW on the streets and track. 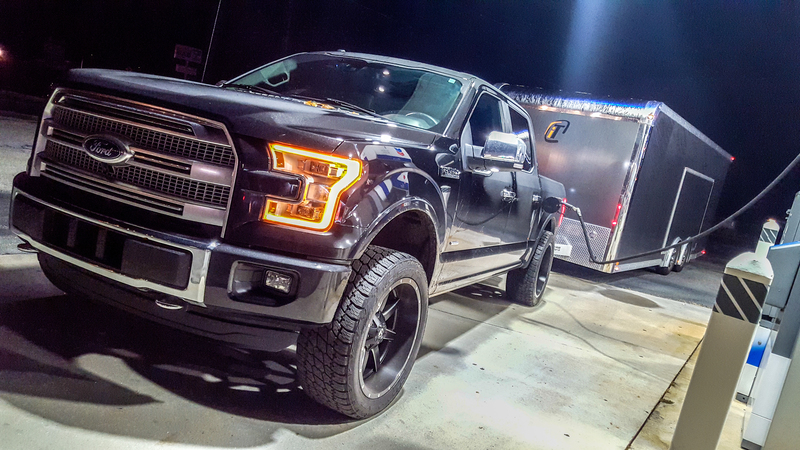 When the owner arrived to pick it up, he looked down the side, grinned and said, “Now THIS is what it’s all about!” -All I heard in my head was MISSION ACCOMPLISHED. 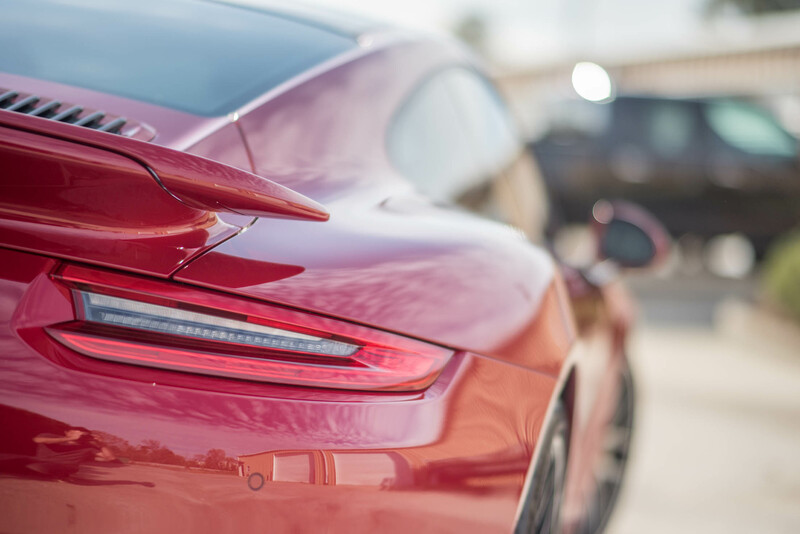 For details on how Detailed Designs Auto Spa can help you restore or protect your fine automobile schedule a consultation with us today. Our website is located HERE.